Around ten months shy of its half-century, Derby Powerbox signalled its last train, 222102 working 1F68, before being formally signed-out and abolished at 22:33 on 1st September 2018. 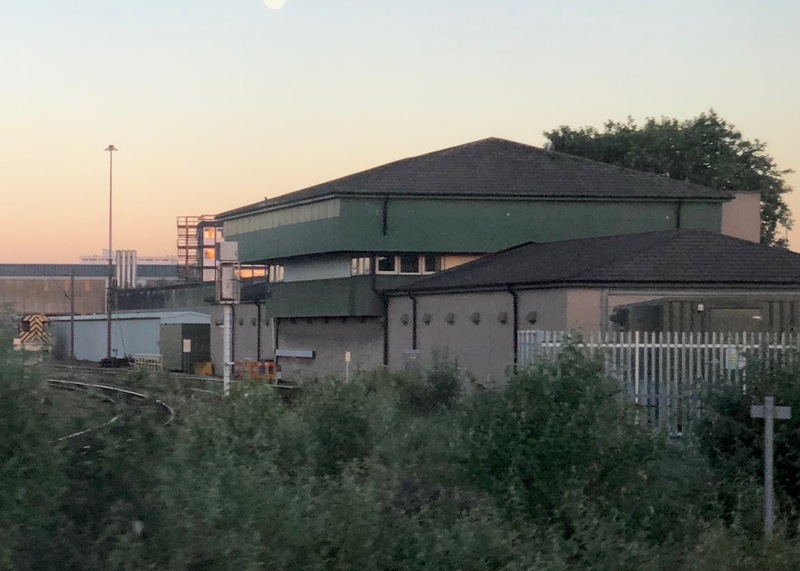 Though of course the embodiment of progress which saw most of the mechanical signalling swept away from the Derby area in 1969, it undoubtedly has its own hugely important part in the area's signalling history. Welcome to the Derby Signalling web site. This is a place for me to share the results of several years of research into the history of mechanical signalling, centred on the railways which came under the control of Derby Power Signal Box. I hope you find some useful and interesting material here. Even if railways in general, or signalling in particular, are not your "thing", there is plenty of local interest relating to the Derby area. 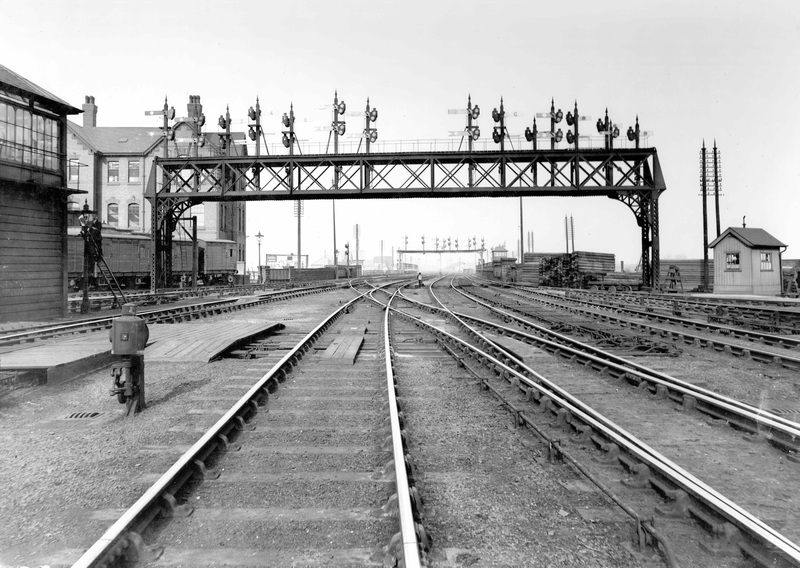 If this is your first visit, or you want a brief introduction to the history of railway signalling around Derby, then this essay is for you. You can read about the Objectives of the Derby Area Signalling Project. A map of signal box sites within the Derby area. The list of signal boxes broken down in line order. A database of staff, listed by signal box. A database of staff, searchable by surname. My database of signal boxes in the subject area. A brief introduction to Midland Railway signal boxes and their categorisation. There is a list of other sources I have used to obtain information during the research. Details of some railway accidents around Derby. The memories of a former Midland Railway signalman who provides a wonderful description of Midland Railway signalling practices and equipment. An article about what is still to be seen of long-gone signal boxes - if you look hard enough! A series of studies of the signalling at specific locations within the Derby area. The intention of these articles is to detail the equipment, the men and the work done in the signal boxes, whilst giving an idea of the context of the surrounding railway. Chellaston Junction: Including surrounding boxes - such as Weston on Trent, Kings Mill and Chellaston Station. Woodville Junction: Industrial South Derbyshire at its grimiest and most interesting. Peckwash Mill: Site of a terrible accident in 1900. Melbourne Junction: An important junction south of Derby in an industrial area. 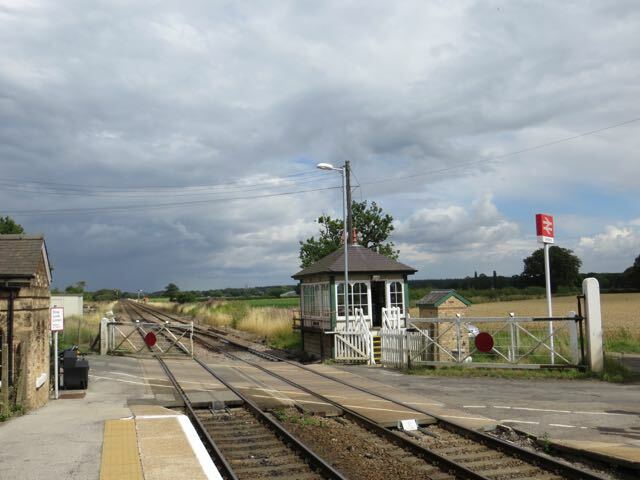 Stenson Junction: One of the busiest rural signal boxes in the country. The rebuilding of Spondon Junction and Spondon Station signal boxes in 1918. Some rather fine interior photos of London Road Junction box when it was new in 1926. Originally prepared for John Hinson’s “The Signal Box” website, there is an article about signalling around Derby station. Details of the fire at Alrewas signal box on 23rd October 2005. Details of Britain’s first automatic level crossing on the Churnet Valley line, at near Uttoxeter. A photographic tour of signal boxes along the Derby end of the North Staffordshire line in August 2015. The signalling history of the Ripley Branch is a fascinating story. A signalling timeline for the Wirksworth Branch, detailing the many changes in signalling methods over the years on this unusual Midland Railway branch. A signalling timeline for the Swadlincote Loop, detailing the changes in signalling methods over the years on another unusual line. Coton Park Sidings between Swadlincote Junction and Gresley on the Burton – Leicester line, a place with a chequered history, having four very distinct periods of existence. Some signalling snippets at Little Eaton, including a small drama detailed in the TRB which happened in 1965. Although my focus is primarily on the Derby area, you will find that I also devote some of this site to the signalling of the Nottingham to Lincoln line. The autumn of 2016 saw the extension of the East Midland Control Centre's reach along the line, with the eradication of four signal boxes. The method of working of the line is now Track Circuit Block (TCB) using axle counters and the previously manually worked crossings (including Rolleston Station) are now worked using ‘Obstacle Detection’ (MCB-OD). There is an excellent article on the Rail Engineer website which provides the history of the scheme and an overview of the method of working. [Thanks to Andrew Surry for letting me know about it]. 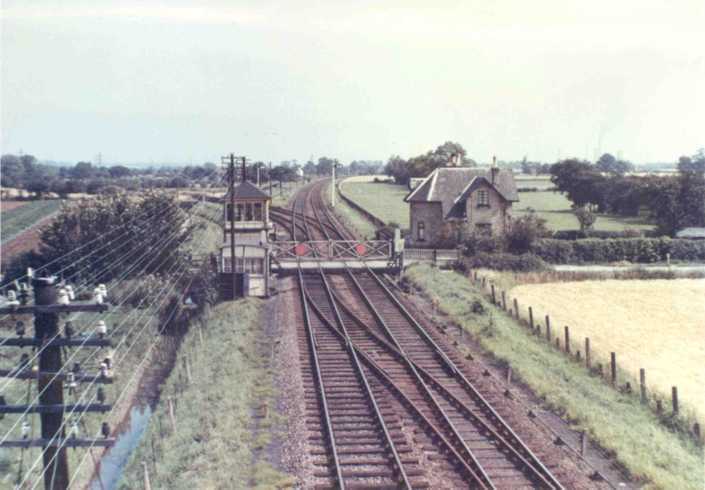 With Newark flat crossing still controlled by Doncaster Power Signal Box and the Lincoln end of the line under the control of the Lincoln Signalling Centre, that leaves just Swinderby as the single remaining mechanical signal box on the line. As well as the Derby area, my other strong signalling interest is the Nottingham – Lincoln branch of the Midland Railway (I deliberately skipped over Trent and Nottingham as the signalling of those areas seemed too complicated to me!). 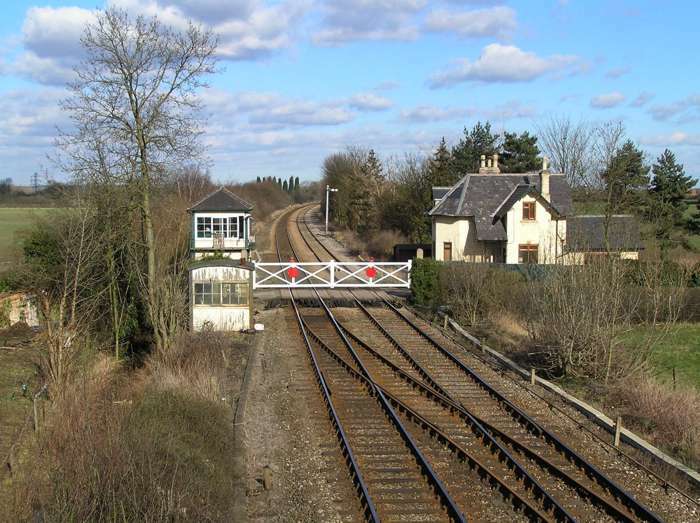 This site hosts an old version of a document that describes the signalling between Nottingham and Lincoln with a slightly more specific article dealing with Cottage Lane Crossing near Collingham, Notts. Otherwise, if you share an interest in this area, please get in touch with me. ... and photographed by an intrepid NR employee in 2005. Any student of Midland Railway signalling practice will be be incredibly well served by joining The Midland Railway Society. In the spirit of full disclosure, I joined the MRS to further my research and ended up as Secretary! This then led me to become Coordinator of the Midland Railway Study Centre at Derby, with its unequalled collection of Midland Railway information and documentation. For anyone with an interest in history, not just railway matters, in the East Midlands, there are a large number of fabulous old photographs to browse and buy on the Picture The Past web site - highly recommended. The Midland Railway - Butterley have, for many years, used the former Pye Bridge branch (including the sites of Butterley Jn., Butterley Station, Swanwick Jn., and Ironville Jn.) to recreate the unique aspects of Midland Railway signalling. Aspects of Midland Railway signalling locally to Derby are also demonstrated on Peak Rail at Matlock (see this site for full details about Peak Rail’s signalling) and the Ecclesbourne Valley Railway at Wirksworth. A little further afield, there is plenty of Midland signalling interest at The Battlefield Line at Shackerstone in Leicestershire. The best place to see and experience Midland Railway signalling close-up is at the St. Albans South signal box. This 44 lever Type 2A box dating from 1892 is lovingly cared for by the St. Albans Signal Box Preservation Trust and with the inclusion of a computer driven simulator, has been restored to full working order - including the Rotary Interlocking Block. Regular open days are held when the public can visit and experience life inside a busy main line signal box. See www.sigbox.co.uk for more information. For anyone with an interest in railway signalling, whether it be specific to a single area, UK signalling practice in general, or even around the world, membership of The Signalling Record Society is pretty-much essential. This very active group of enthusiasts and professionals are a really knowledgable and friendly bunch. For more information and lively discussion about general signalling matters, I strongly urge you to go to The Signal Box. Its founder and webmaster, John Hinson, is a (now retired) signalman who signed more signal boxes than anyone else I know (except Pinkie of course!). Over many years John has worked exceptionally hard to make his web site the go to location for anything to do with signalling. If you'd like to discuss matters specifically concerning subjects on this site, please contact me. A small amount of tidying. A few lines to mark the abolition of Derby Powerbox. A general refresh of the images on the front page and an update to links to local heritage railways with Midland Railway signalling interest (with thanks to Dominic Beglin for the nudge in respect of the signalling on Peak Rail). The data behind the search pages( database of signal boxes, database of staff, listed by signal box and searchable by surname) have been updated. A few words about the demise of the mechanical boxes between Lowdham and Newark have been added. With the kind assistance of Dave Chambers, the Ripley branch article has been updated slightly. The “Sources Consulted at the National Archives” page has been refreshed and updated to include visits since March 2000 (when it was last updated!). The links to the MT6 sketches on that page have been repaired as well. I have refreshed the page relating to Little Eaton on the Ripley branch (itself a new article), adding some "new" photographs and extra information. I have added a page detailing the curious chronology of Coton Park Sidings (between Swadlincote Junction and Gresley on the Burton – Leicester line). This place is an eternal mystery; having four very distinct periods of existence. More-to-the-point, it seems that the box was never photographed, despite surviving as (comparatively) late as 1964. The page concludes with a heartfelt appeal for further information! Here are the fruits of my North Staffordshire Sojourn in August. The Small Print: The majority of photographs used on this site are not mine. Wherever possible the original photographer is credited and the image is used with permission. Where I have been unable to seek such permission, I sincerely hope that the photographer will acknowledge that the images are used in an educational spirit and absolutely no financial gain is involved. To that end, visitors may not reproduce any image from this site - in the event you wish to do so, please contact me and I will try and put you in touch with the person whose consent you need. As far as the text on the site is concerned, that is almost all mine. Unless otherwise indicated, Visitors are free to reuse any text or information they find on this site for any purpose. The only restriction is that I ask for an acknowledgement to www.derby-signalling.org.uk where applicable, and I absolutely insist on the courtesy of being informed of any such use if commercial gain is involved. Thank you.